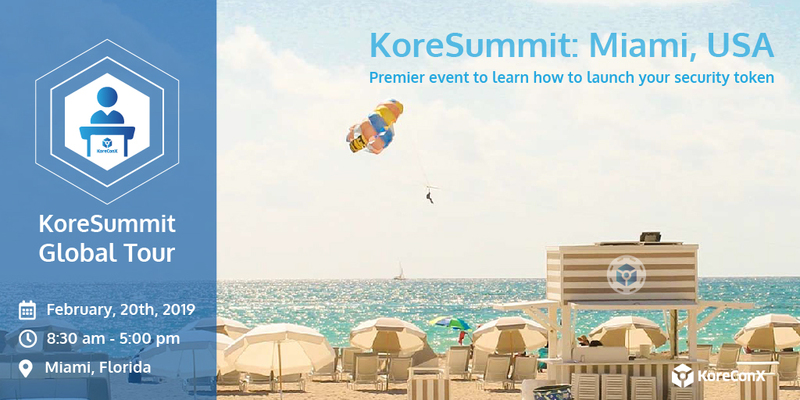 MIAMI, February 13, 2019	(Newswire.com) - Following the success of the KoreSummit New York, KoreConX will bring even more experts to Miami on the second stop of the KoreSummit Global Tour. One of the main topics at the event will be the regulation involved in the issuance of a fully-compliant security token. KoreConX is a free all-in-one business platform that helps companies navigate and efficiently manage all their corporate business activities.